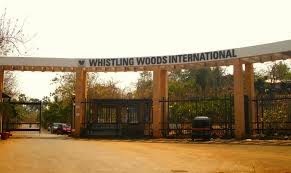 Welcome to Whistling Woods International! 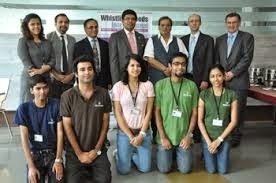 Whistling Woods International, Mumbai, has been promoted by Subhash Ghai and his production firm Mukta Arts. 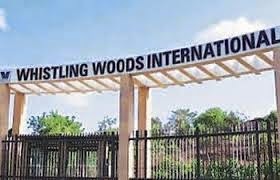 Listed as one of the 10 best film schools in the world by the ‘Hollywood Reporter’, Whistling Woods indeed enjoys wide popularity. It offers a one-year course in acting, which is divided into 4 semesters – the freshman, the sophomore, the junior and the senior. Whistling Woods International (WWI), Institute for Film, Communication & Media Arts was founded by Filmmaker Subhash Ghai in 2006. Within a short span of 8 years the Institute has become the preferred destination to nurture creative talent in India & globally. Over the years, WWI has not only made a mark as a reputed film school, but it has also successfully diversified into allied fields like Animation, Media & Entertainment Communication and Fashion. 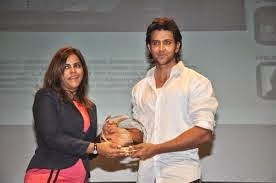 Meghna Ghai Puri, President of Whistling Woods International, has fulfilled this vision with the help of a strong & experienced Faculty & Staff team, an illustrious Advisory Board & a stellar Governing Council. WWI has received global recognition from students, industry, faculty and institutions all over the world. Eclectic bouquet of Programs: The main campus housed in Film City, Mumbai offers short-term and long-term degree and diploma programs in Acting, Animation, Cinematography, Direction, Editing, Producing, Screenwriting, Sound, Visual Effects,Fashion Design & Media Management Studies. Degree courses on offer are a BSc in Film making, a BSc in Digital Film making (focusing on Animation), an MBA in Media & Entertainment and a BBA in Media & Communication. Hybrid curriculum & unique pedagogy: The courses at WWI are designed to ensure that the students' learning is collaborative and industry oriented. The curriculum at WWI is a unique hybrid of theoretical and practical and ensuring that the creative dovetails well with the business aspects. Students also undergo rigorous study in several co-curricular faculties like Film Appreciation, International Art Literature Culture, Production Design & Music. 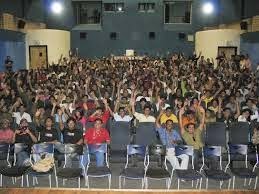 International Co-productions: Since its inception, Whistling Woods International (WWI) has always endeavoured to bring the best blend of Indian and international film education to its students. The institute established meaningful academic partnerships with over 14 international universities like Victoria College of Arts (VCA), Australia, University of Calgary, Canada, Bradford College, UK, Norwegian Film Institute, Norway and New York University, Tisch, USA to name a few. In the past, the students have got an opportunity to work on international co-productions with University of Calgary, the Hong Kong government and more recently VCA. Every project is led by a faculty member who facilitates the teams and acts as a sounding board. International Affiliations: WWI has initiated affiliations with several global film schools, including first-ever-in-India activities like International student co-productions. Some of the schools that we have undertaken these activities with are Deakin University & Griffith University in Australia, Bradford College UK, Leeds University UK, University of Calgary, Syracuse University USA & NYU Tisch Asia to name a few. Preferred destination for International students: The unique elements in the curriculum & the teaching methodology have seen WWI's student body growing over four times over the past five years. Further, almost 15% of the student body now comprises of International students, from the USA, Canada, UK, Germany, Italy, France, Holland, Bermuda, Nigeria and from several other countries who choose WWI over the multiple film-studies options available in their own countries. 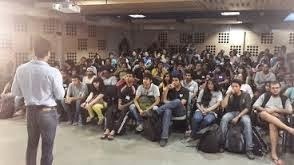 A unique element in the teaching methods is the weekly Film Forum discussion where a film is screened for the students. 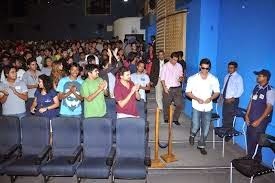 The following day the filmmaker, along with the crew take the students through the journey of the film. Over the past 8 years more than 200 filmmakers have shared their experiences with the students. Commitment to create leaders & thinkers: It is our endeavor to ensure that we continue to train the students in a way that makes them employable and industry ready. We are committed to our vision of building the best creative technicians, skilful artistes and passionate businessmen who will change the face of the Indian Media and Entertainment Industry. The curriculum and teaching thus focusses on making the students think and analyse cases and situations. Futuristic discussions precede the technical hands-on training is imparted to the students on the latest equipment. Global Affiliations: In 2010, WWI was accepted as a full member of CILECT (Centre International de Liaison des Ecoles de Cinema et de Television) - a global association of film schools, which lays very high standards on admitting members (out of the thousands of film schools in the world, there are only 150 members of CILECT). This membership has enabled huge expansion in WWI's international operations with student & faculty exchanges being planned with the best film schools in the world. 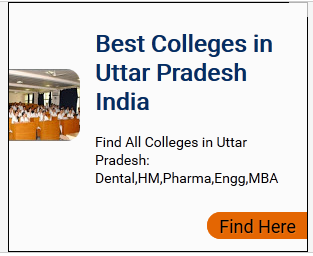 Multiple Campuses: WWI is at various stages of establishment of additional campuses both within India and outside, in partnership with like-minded organisations. 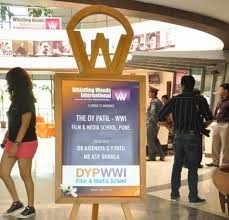 The Pune campus of Whistling Woods set up in association with the DY Patil group commenced operations in September 2013. The UK campus, set up in association with The Bradford College also commenced in September 2013. The African Film & Television Academy - a joint venture between Trend Media City & WWI is expected to commence with campuses in Lagos & Port Harcourt, Nigeria by early 2014. Corporate Social Responsibility: WWI stands for recognizing and nurturing talents. We have awarded scholarships & free education to deserving under privileged students. Over the past seven years this is an accumulated figure of over INR 5 crore. Several children from NGOs have availed full-time education or workshops from WWI at no charge. In addition, WWI has consistently provided NGOs & associations engaging in Public Service Advertisements complimentary filmmaking services through its faculty & students. The above is just a snapshot of what Whistling Woods International has achieved in the short span of a few years and the institution strongly marches on its way to fulfilling its goal - to be THE thought leader for Film, Media & Fashion education globally.